This item is a final sale item. Returns cannot be accepted. Running errands and getting around with your child has never been easier, thanks to the City Mini. 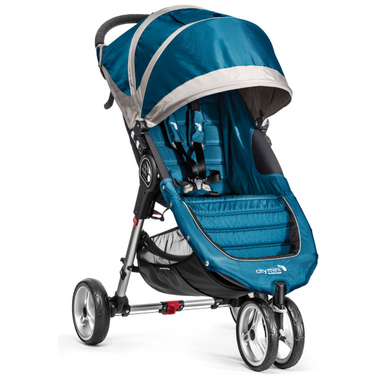 This stroller is the essence of urban mobility: lightweight, compact and nimble. Its sleek and practical design makes it the perfect choice for traversing the urban jungle. The City Mini is not intended for jogging. The seat reclines to a near flat position with vents and a retractable weather cover to make sure that your child is comfortable and safe as they watch the world go by or kick back and relax. The UV 50+ sun canopy can open to multiple positions. It even has two peek-a-boo windows so you can keep an eye on your precious cargo. We're sorry! This item does not qualify for free samples.